PISTONS AND PEDALS IN THE VALBRENTA…The lure of steam trains is irresistible: the mighty black engine, exuding energy, pent-up power and a hint of mystery…the hiss of steam, the haunting whistle, the plume of black smoke and chuff chuff of the pistons and rods…the timeworn wood of the seats, with their brass number plates, the coal-blackened faces of the firemen…that mix of nostalgia, romance, and adventure… Now combine a steam train with a form of locomotion that is its total opposite: simple, silent, and gentle, with only two wheels, and powered by a human. And what do you get? Why, La Carrozza Matta’s Treno a Vapore+Bici al Seguito outing, a mobile festa on wheels for passengers and spectators of all ages, with everyone transported back to the innocence and wonder of childhood. La Carrozza Matta is a cultural and historical railroad association headquartered in Carpanè di Valstagna, north of Bassano del Grappa. They’ve created a museum, restored historic railroad cars, and organized steam train excursions to the Christmas markets in the Trentino, the carnival in Venice, and other destinations. Last year they ran the first Treno a Vapore+Bici, and it was such a delight that I’ve signed up for this year’s event. The train (with both cyclists and non-cyclists aboard) departs from the thousand-year-old city of Bassano and heads north into the canyon of the Brenta River, with the Asiago Plateau rising on the west, and the Monte Grappa massif to the east. 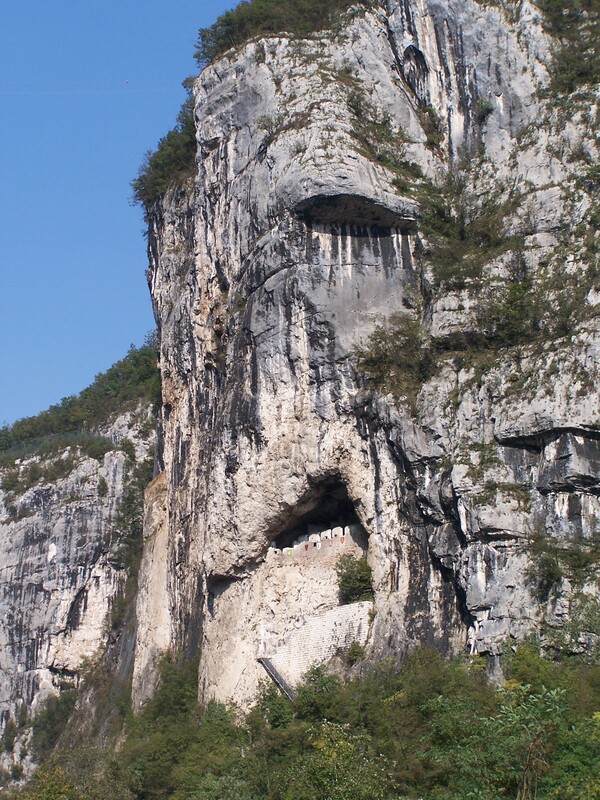 Attentive passengers catch sight of the impressive Covolo di Buttistone, a fortress in a natural cavity high up in a sheer cliff. 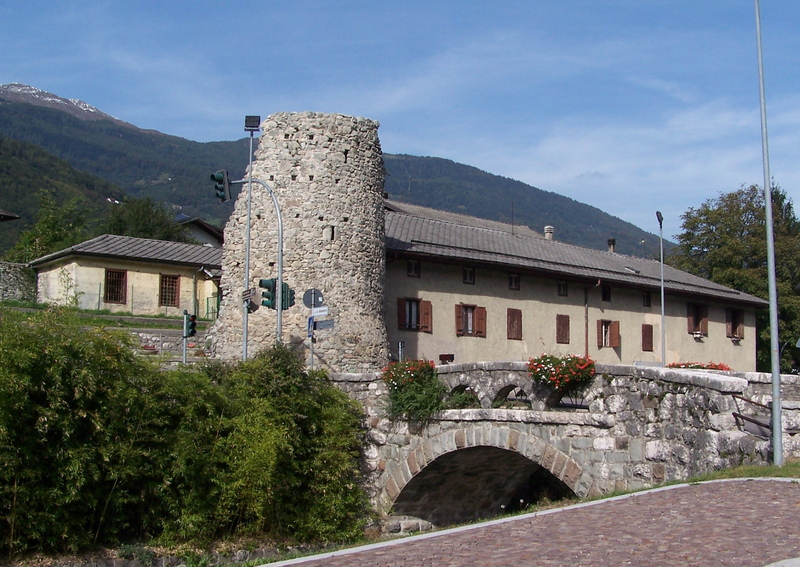 The first stop is Primolano, a legendary town with a long and fascinating history (and deserving of its own journal entry). This section of the railroad line celebrated its 100th anniversary in 2010. Everyone descends from the train and enjoys a breakfast of coffee and pastries in front of the station, as spectators surround the hissing train and marvel at its mechanical workings. Farther north, the valley opens up and turns westward, affording views of the Lagorai range to the north. 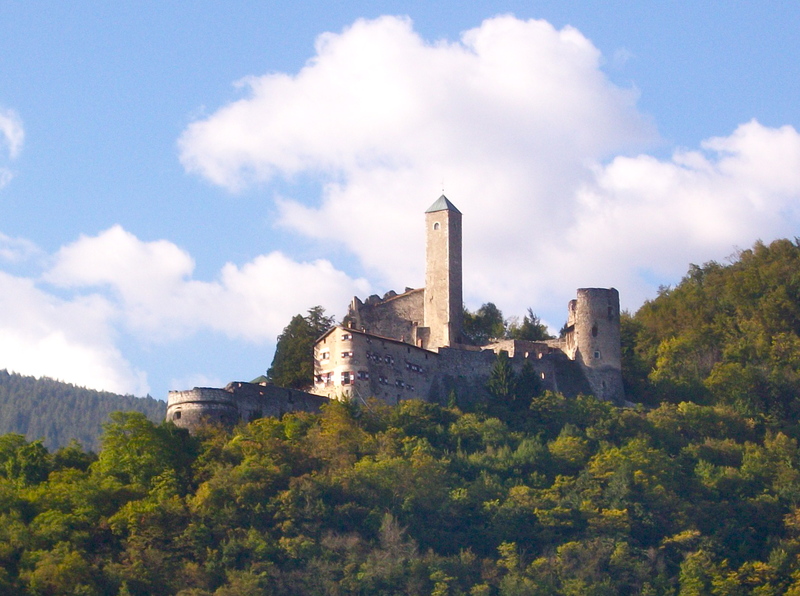 Castel Ivano and then Castel Telvana come into view, as do the Tor Tonda and scarecrow museum in Marter, named, perhaps, for a Roman Campus Martius there. Everyone disembarks in Caldonazzo. Those without bikes enjoy a walk along the lake or a tour of the historic town, followed by lunch. Meanwhile, the cyclists return along the scenic bike path that I know so well, stopping for lunch at the BiciGrill. Train and bicycles meet in Primolano, with ice cream for one and all. The bikes are loaded on the train, which heads back to Bassano. It’s a wonderful, joyous adventure for young and old alike. 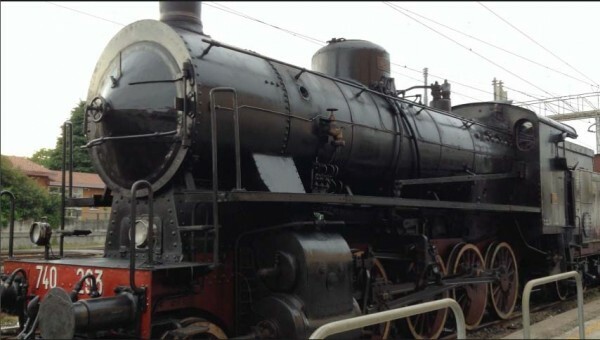 Older people reminisce about the voyages they took on such trains in their youth; younger people and children are fascinated by the workings of the locomotive and the tasks, such as shoveling coal, that are needed to keep it running. Riding a steam train is like being a protagonist in a period piece. All along the route, spectators stand along the tracks, look from their home windows, and drive alongside in automobiles. Those not expecting the train look up in amazement, which immediately turns to delight. Everyone waves and everyone smiles. There are few other events (the Giro d’Italia is another) with the power to captivate, fascinate, delight, and unite one and all in a moment of collective joy. 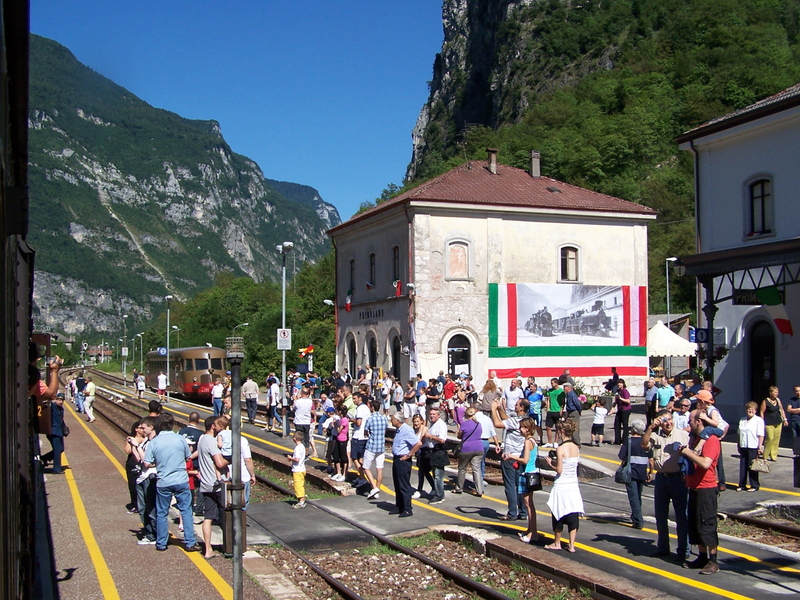 This entry was posted in Events, Festivals, and Concerts and tagged Brenta River valley, steam train. Bookmark the permalink.